Some of the earliest Halloween traditions started in Europe, yet the festivities are seen as primarily an American holiday with little or no fanfare for the French; in fact, many cities in France ignore the holiday altogether. However, there are still plenty of ways to enjoy this fall holiday in France this year—but it might be a bit different than you're used to when compared to American celebrations. In France, Halloween was originally celebrated as All Hallow's Eve, a three-day festival honoring the dead, and the French still practice many of these traditions to this day. 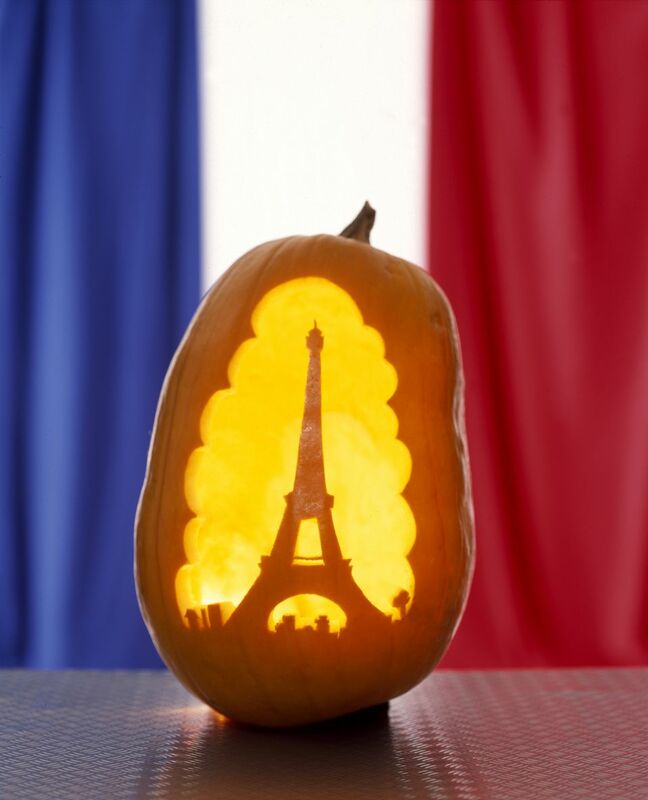 You'll find plenty of church services and processionals across the country for All Hallow's Eve, but you can also find some American traditions practiced in major cities like Paris and Nice as well. During October, especially towards the end of the month, you'll find spooky confectionary displays in chocolatier windows, children and adults dressed up in fun and creative costumes, witches festivals across the country, parades, and even special events at McDonald's restaurants and Disneyland Paris. While Halloween falls on October 31st throughout the world, the French are more concerned with Toussaint, a corruption of Tous Les Saints, or All the Saints, which takes place on November 1 and is celebrated as a public holiday in France. On Toussaint, you'll come across families going to the cemetery together to light candles in little lanterns and put flowers on the graves of their relatives; some churches also hold special services. Additionally, some public attractions will be closed and the roads will busier with French families enjoying the long weekend. The next day, November 2, is known as All Souls Day, but there are no particular traditions attached to this third day of All Hallow's Eve. The city of Chalindrey—located south of the walled city of Langres in Haute-Marne, Champagne—hosts a Fête des Sorcières (Witch Festival) each year to honor the victims of the 16th century Fort of Cognelot witch hunts. The Fête des Sorcières takes place on October 27 and 28, 2018, and kick off with an all-night dance at the Fort du Cognelot. Fête des Sorcières also features a holiday market, a tunnel of horror, concerts by the Sortilège Trio, workshops presented by the Around the Earth organization, balloon sculptures, performances by Zucco the Clown, exhibitions from the Conservatory of Natural Spaces, and the parade of Miss Witch 2019. Food and beverage vendors will also be available on-site during the events; children under 12 are free while regular admission is just four euros per person. Other cities around France also take part in the Fête des Sorcières tradition, but the festival in Chalindrey is by far the largest and most well-known. Although France doesn't celebrate Halloween with quite as much of an emphasis on terrifying frights as America, you can get create your own thrilling tour of the country by visiting the great tombs and effigies of France's haunted abbeys. The ruined abbey church of Jumièges in northern France is just the place for a Halloween visit, where you can walk around the buildings with just the crows for company. Alternatively, you can walk through the Chateau of Blois in the Loire Valley, which was the place for the grisly murder of the infamous Duc de Guise. For an even more-terrifying journey, you can climb the steep hill up to the glorious abbey of Vézelay, a UNESCO World Heritage Site. On a wet October day, all you will hear is the sound of your feet rustling in the fallen leaves. It’s one of the great sites on the pilgrimage route from northern Europe to St. James of Compostela in Spain. This year, you can join Mickey Mouse and friends for the scariest Halloween event Disneyland Paris has ever seen, "Disney's Halloween Festival: A Spooky Mouse Skelebration," which takes place from October 1 to November 4, 2018. Each day during the event, Main Street USA transforms into Spooky Street, which features a festive parade nightly as well as special Disney villains-only showcases sure to delight audiences young and old alike. On October 31, you can also enjoy all the rides, haunts, and thrills of the Skelebration overnight during the Disney Halloween Party, which takes place from 8:30 p.m. to 2 a.m. Although Disneyland Paris may be a bit more expensive than other destinations on this list, it's really the closest you'll find in the country to a true American-style Halloween celebration—even if the frights are only mildly terrifying. Limoges is the capital of Haute-Vienne in the Limousin region of France and has celebrated Halloween for the last 20 years with a special parade on October 31. Between 30,000 to 50,000 guests are expected in Limoges for this annual event, which also includes street performances and parties across the city. The parade features ghosts, devils, and goblins carrying carved pumpkins, and many of the local restaurants and bars join the festival spirit by having waiters dress up in fun costumes.